Looking to increase sales? You NEED to know your Big Six! 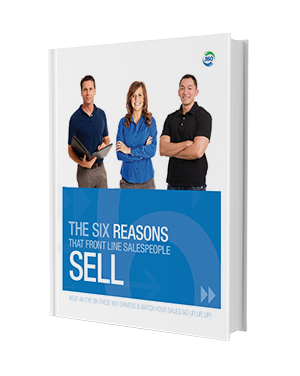 Fill out the form on the right to INSTANTLY download The Six Reasons That Front Line Salespeople Sell – ABSOLUTELY FREE! At 360 Incentives, we interviewed hundreds of front line retail sellers while building our platform and in the course of doing that we learned a LOT about what makes a salesperson sell. Did you know it comes down to only 6 factors? The single factor that will cause over 97% of salespeople to move a customer to another product! Why sales compensation plans are not enough! How to make sure your sales incentives and loyalty programs are serving your brand effectively. A short exercise to help you move to top brand with your RSAs - in ALL territories! As more and more brands move to an indirect sales model, it becomes evermore critical that YOUR loyalty and spiff programs are having the desired effect: DRIVING MORE SALES!